In most mythos, elves typically find a certain harmony with nature. That their armour draws inspiration from the forest is not all that surprising. By emulating this notion, we have created our own take on elven armor, the Elven Leaf Wrist Bracers. These stylish elven bracers are modeled after a trees leaf; they are hand-crafted from flexible 7/8 oz. leather, and while they may provide some level of protection, they are primarily for wearing as decoration. 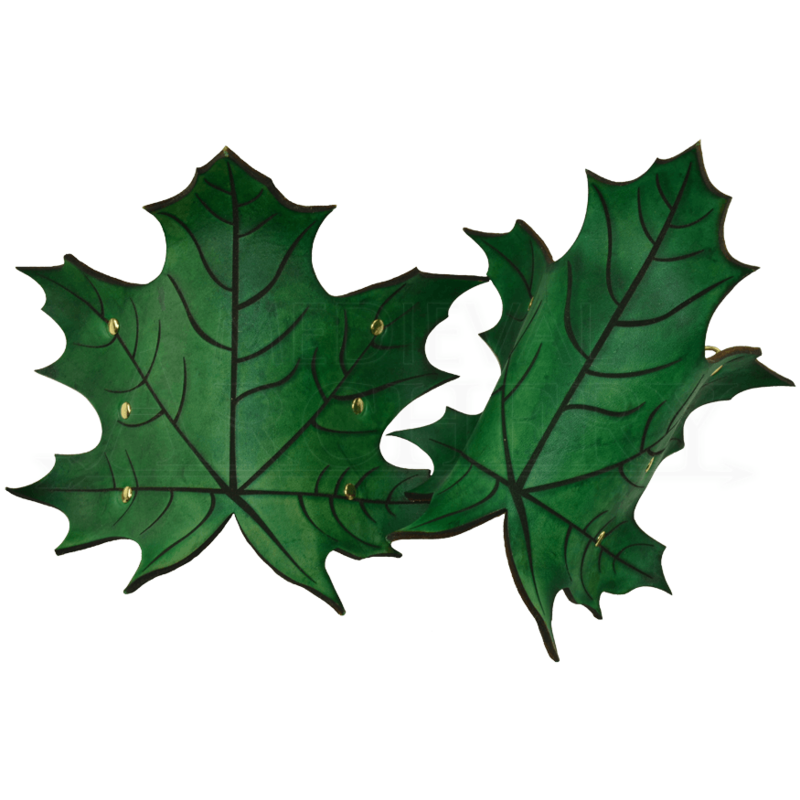 They are crafted to look as leaf-like as possible, to such an extent that they are very appropriate for any elven warrior who needs that touch of nature to his attire and armor, although they work wonders for any natural defender who needs leafy armor. Each bracer features six speed lacers which enable the bracer to be put on and secured quickly and comfortably, to be worn for as long as desired without difficulty or issue. 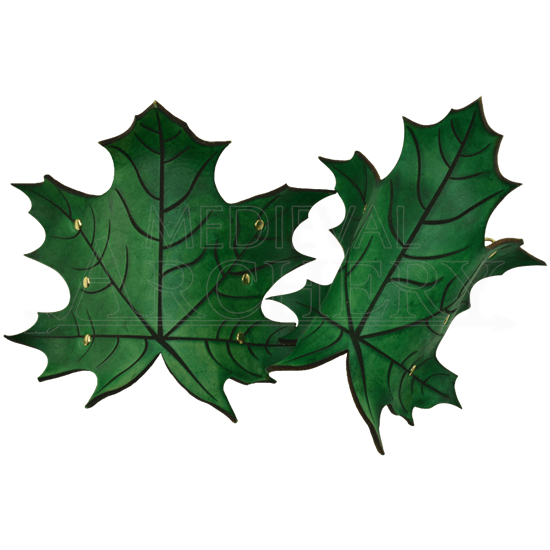 Anyone who thinks that leaves do not make good accessories and armor have obviously never seen our Elven Leaf Wrist Bracers before.